Following dolichopodid species are recorded in Japan, which are not listed in the Catalogue of the insects of Japan (published in 2014). Some of the following species contain doubtful or uncertain records (ex. no information of specimen were provided). 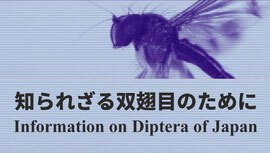 © Information on Japanese Diptera 2013 All rights reserved.